1 Zip Code. 17 New Libraries. I'm honored to be part of and a recent graduate of Leadership Louisville Center’s Bingham Fellows program that chose "investing in West Louisville's path to prosperity" as its focus for 2014. Because of my role at Metro United Way, I'm especially passionate about this because a huge part of this work is a project called "Early Education 40210." The 40210 zip code, which includes the neighborhoods of Algonquin, California and Park Hill, has one of the lowest rates of kindergarten readiness in our community with only 35% of kids screened as ready for school this past year. And we know that children who start behind, tend to stay behind - leading to significant achievement gaps and challenges in graduating high school on time. In partnership with Metro United Way, Jefferson County Public Schools and the Louisville Free Public Library, Early Education 40210 focuses on parent engagement in child development, early literacy, and quality early education and childcare settings. • Help parents and caregivers get involved in their child’s development by enrolling in Metro United Way's Ages and Stages Questionnaires program. Parents can also join neighborhood-based parent networks for peer support. • Collaborate with Louisville Free Public Library’s “1,000 Books Before Kindergarten” program focusing on early literacy. • Provide front yard "Little Libraries" within 40210 to create easy access for family reading. • Expand the distribution of kindergarten readiness kits and best practices to childcare providers in 40210. I've had the pleasure of seeing parents, neighbors, and the community come together to support getting more books into the hands of children and families who need them most. In October, the Bingham Fellows were joined by over 100 neighbors in the California neighborhood’s Victory Park to officially kick off this project. 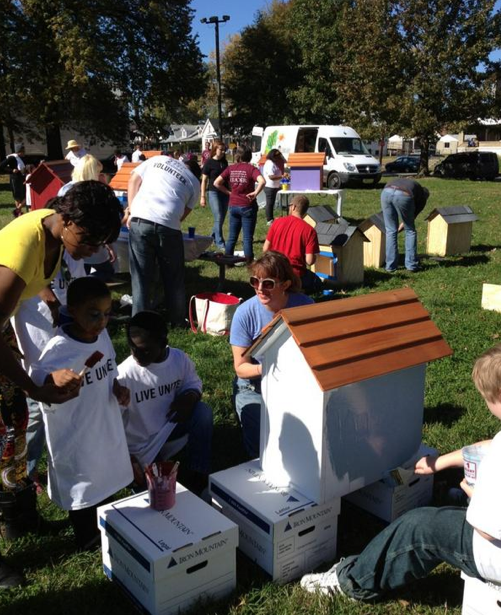 Neighbors put the finishing touches on 17 front yard "little" libraries that will be hosted by residents in the neighborhood to increase the supply of books in the community. Hundreds of books as well as supplies to build the libraries were donated. 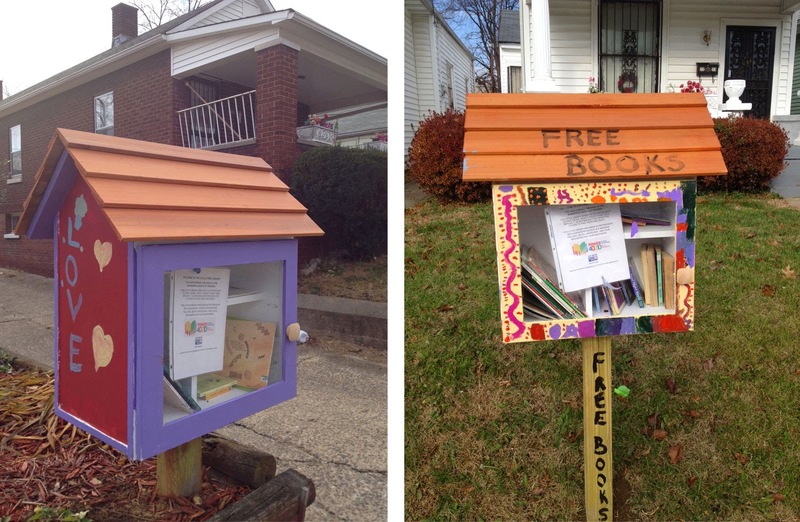 These libraries are now installed in front yards in the community and are free for anyone to use. The concept is that one can take a book or leave one behind for others to read. View a recent WDRB TV story about these libraries HERE. This project hopes to serve as a model for progress toward the community-wide kindergarten readiness goal of 77% by 2020 and is designed to ensure a 5% increase in scores in the 40210 zip code by 2016. Want to get involved with Early Education 40210? You can donate books, lend skilled volunteer help to build a library, or make a donation to support parent advocates working with other parents to support healthy child development in the neighborhoods. Please contact me at mary.grissom@metrounitedway.org and I'll make sure you too are helping kids and families in the 40210 zip code have access to books in their own community! 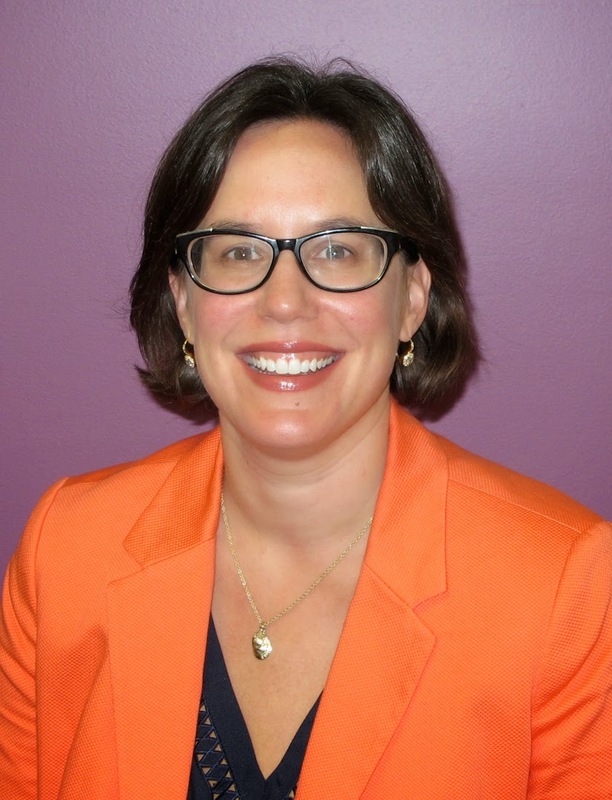 Mary Grissom is Director of Engagement Initiatives at Metro United Way and a 2014 Bingham Fellow graduate. After spending ten years working in Boston non-profits, local campaigns, and city government, she returned to her hometown of Louisville with a deep desire to better understand and make impact in her own home. Mary recruited her husband to move to Kentucky with her and is proud mama to Ella Mae.